Range Freeze is a phenomena, that’s science really, of the battery pack freezing up to compromise the energy storage in the cells. But the reverse can also happen at 95° F, but to less a degree due to very efficient battery cooling systems in most of these cars. BEV Range Freeze usually happens below freezing temperatures. If the sweet spot for present BEV range is about 230-240 miles, the sweet spot for BEV operation really is 70° F.
New BEV drivers: If your battery pack gives you average 240 miles or less range typical, you’re going to be shockingly (excuse the pun) surprised how little is left after charge and startup in this cold weather if not already. Beware you sunshine people who’ll be driving north to experience range freeze. BEVs like humans and convertibles don’t like and/or aren’t at optimal to enjoy the full benefits of themselves or itself, in extreme weather. BEVs like humans don’t like anything outside of the outdoor 70° F range. 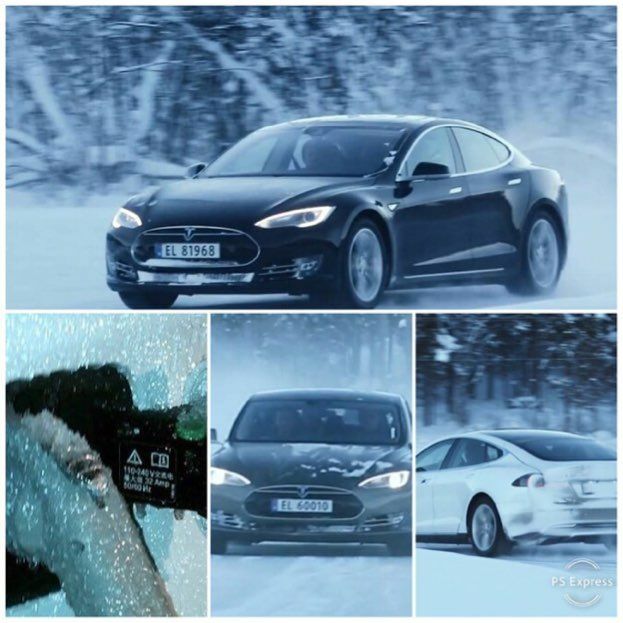 If the weather gets below the 20° expect to lose 40%- 60% or about half your range due to the cold, not so with their cars, according to Tesla. Jaguar i-Pace, Nissan Leaf, Chevy Bolt owners, and others either in this sweet spot of 240 miles of range, or have less, ARE SPEAKING LOUDLY. I hope Mercedes Benz with their EQC and Audi with e-Tron are listening. As your BEV ages, and for you BEV SUV owners when hauling heavy or towing (sadly the i-Pace with 512 lb/ft of torque isn’t tow rated, gee, I wonder Why) you need to take these factors into consideration when extreme weather driving. The bigger the battery, the longer the energy will last, the longer life it’ll have, the harder it’ll be to freeze, the harder it’ll be to boil. And most likely you can supercharge it too! The tinier the battery pack, the hotter it’ll always get and stay there, so the much easier it’ll be for it to boil, since it’s smaller the faster it will get to freezing, and this is science not opinion folks, the shorter life expectancy it will have. The dealer was hoping you’d trade it in by now anyway. Between Leaf and the PHEVs, that was the whole dynamic of those cars to start. Expect a tiny battery replacement to be cheaper but still several thousands. I tell people brace for the same cost of a rebuilt auto transmission. This is where my advocacy of ending PHEV production, and making bigger batteries or longer ranges for bigger vehicles like mid or full size SUVs and CUVs becomes quite clear. Now that ionization is much cheaper, all makers really should be installing larger batteries or at least offering them as an option. This should not turn anyone off to BEVs; ICE (the gas car kind, not just water obviously) still freeze up in winter, overheat in summer, gives us all still plethoras of problems in extreme weather driving, if not more. You can argue BEVs will give us less problems in extreme winter driving than ICEVs if we know what size battery pack to have and use in what locale. This is about reorientation: in the BEV world forget about the gasoline refueling dynamic, warming up the car to go, making sure antifreeze is in the radiator. New Dynamic: we have to know how to use and be prepared for options for a completely different machine that’s an entirely different invention, that looks like the invention we’re already used to, but we make the electric one look like the one we grew up with. This is really about dealing with a tinier battery pack or a bigger vehicle that should have a longer range. There’s a reason other than price point why a Rivian has a 400 mile range. SUVs should really not be made with 234 mile ranges, I’m sorry. You need a CUV instead. There’s a reason why other than a Porsche in a few weeks also having one, why a Tesla Model S now has a 310 mile range for its Base Model. This should be a wake up call to all auto makers: keep the tinier packs in commuter cars and small car fleets only, and just get rid of them elsewhere, too much trouble! For everyone else there’s nothing wrong with having a smaller pack for a more appropriate vehicle. Be aware of its virtues and limitations, and be able to work around it in the extremes. If you regularly live in colder climates and do lots of long distance driving under time restrained situations having a tiny battery BEV is not the way to go about it. At least you paltry ranged hybriders have your smoggy gas engines to back you up once they’re warmed up: “Al, I should’ve listened to you. My [BEV SUV with the 234 mile range, guess which one it is] isn’t cutting it for me in this cold weather. I feel like I’m in a plug-in hybrid that I need to charge up everywhere I go! I cringe every time I start the thing to wonder how much of half the range will be left from overnight. Can’t headlights, heating, and radio be optional for use? I’d disconnect the brake lights if I could! Next time it’s a longer range battery pack for me!” Hmmm. And my advice is still for free . . . sometimes less isn’t more. I’d say a few of you are regretting your BEV purchase because of this battery issue, I get the feeling elsewhere that if you had a bigger pack as an option you would’ve taken it. But I’d say whoa hold on, this isn’t as bad as you think, this is more about reorientation, something I’m trying to get most on the same page about. This is the same page with the same people who are stuck in their PHEVs waiting for the gas stations to start installing superchargers. To them I say you’ll get what you want but don’t expect any more: Shell surprised us all by going against that dynamic recently, but I’m super grateful they’re setting up charging stations. (Note that Shell is a Netherlands company, they are NOT American, so do NOT expect American Big Oil to give up pumps for chargers anytime soon). Like you have to do about not ever being able to refuel your BEV at a nearby gas station, you have to change your expectations and be prepared for extra steps and contingencies when driving an electric car with a smaller battery pack and/or lower range. The same is true about electric car batteries. I get a lot of blowback from readers about my advocacy of getting rid of PHEVs from production, and for longer ranges on bigger vehicles. I come from the North to experience its extreme weather, and I’ve driven SUVs to know how thirsty they are in their gas variants, and why some makers strap an additional portable tank to the back of their vehicles. And I keep my cars longer, like that eight year old BMW convertible I have that’s right now as I write this in the dealer shop with a $1300 bill for me to wonder if now’s the time to get rid of it or electrify it. And this is where the chickens come home to roost about purchasing and caring for an electric car for all of us. Like it is purchasing a convertible or a motorcycle or a camper in areas of adverse weather climes, you need to think about those times of what having that vehicle will be like when driving conditions aren’t optimal. And during those times when conditions are to an extreme, where to store the vehicle when not in use. But most importantly as this pertains to electric cars than it does to a camper or motorcycle, how to use it or what options do you have for its use during extreme weather conditions. You need to pay particular attention to this if the battery pack is small, the range is 200 and change, and/or if the vehicle is getting older. Like everything else in life, the corridors of passage are easier to negotiate day to day when you are bigger and younger. So it is with lithium ion batteries. I often tell people as I like to say because in many ways it is true, that “less is more.” We often find ourselves double tasking when there’s always an easier, simpler way to do things. For some of you right now who are driving a BEV in colder weather, you are probably regretting not having a bigger battery or didn’t check off the options list to get longer range. I want you and the next round of BEV purchasers to remember this rule of thumb. The bigger the battery the longer it takes for it to get hot and longer it takes for it to get cold. The bigger the battery the longer it will last in both range and longevity. This is science, not opinion. There’s more battery pack to keep all the energy storage together. It may not do it as perfectly as when it was younger, something I can relate to, but dammit it gets the job done! If you’re constantly frustrated with your phone batteries running out of juice so quickly, how do you think the bigger ones in your present or next car are going to fare? Phone makers are constantly trying make “the next best thing” more sleeker at the expense of size but I always wished my battery phone case was inside my phone! So the smaller the battery the more quickly it will get hot, and will always stay hot when it’s in use, especially when charging or after highway speed driving. Repeated hot cycles shortens the longevity of small batteries. A smaller ion battery will not last as long in cycles and longevity as a bigger battery. Car makers were not expecting these tinier/smaller batteries to be on the market this long, but what we are starting to see is how they are used in different applications under extreme conditions in real life settings. Speaking of size, this also pertains to the size of the vehicle, full and mid-size SUVs and CUVs. Particularly SUVs that were designed for serious all terrain use. You may not have any need for those capabilities, but that was what the truck, yes and it’s supposed to be a truck whether it has a ladder frame or not, was supposed to be designed and used for. That’s why car makers are making CUVs instead for that need. Otherwise a BEV SUV having all terrain capability should be made for off road and off grid use where refueling isn’t as convenient, and that means having appropriate ranges so this isn’t an issue. And 230+ miles isn’t enough that they need larger packs. The Jaguar i-Pace too. Before you all blow up comments section, it’s a great car. It just needs bigger batteries but for mild weather like California, the lower ranged pack is fine. For now. Another consideration you need to listen to is age. We all know something about this and batteries are no exception. That 240 mile range is great for that little commuter car like a Bolt to zip around in all day, maybe a long distance trip or two every few months now and then, but that range is going to slowly shave off over time, especially if that’s a purchase, not a new car lease (which is another reason I advocate for BEV new car leasing) and you keep the car for years as opposed to months. No it is not, not for a 5,000 lbs. truck that’s supposed to haul people, gear, and should be rated for tow. And should do this all and perform the same when it gets old, especially if we’re now talking about these cars supposedly lasting a million miles and average American ownership because of the price/wage gap is approaching 15 years. We need to step back further for a bigger picture. And when it comes to range, deserve better. This is why I’m such a staunch advocate that we need to get rid of from production the PHEVs with these tiny batteries car makers made only because of their tiny amount of supplies in their gas car supply chains that they can only make tiny ones for many that we don’t need them anymore! This is what I’m talking about that I get silly blowback from naysayers about BEV SUVs with 200 mile paltry ranges: batteries get old and extreme weather takes a toll! Don’t be cheap on the options list get long range to beat weather driving! Range freeze is the more serious problem than overheating. Very much like humans, lithium ion cells do not like the cold weather more than they’d more prefer the extreme heat if they have to. Ideally like we prefer, they like it when it’s around 70° F outside. But this is about winter, so remember that these cars thrive in Norway and if they can thrive in Norway they can thrive here. 1. Try to keep the car indoors and heated. For some of you this is going to be a logistics problem if you’re at either extreme of rural or urban and not a property owner. You may have to anticipate and even budget for things like this when the occasion arises. When I didn’t have my car for weeks a few months ago, a friend lent me his full sized classic European luxury car. The car has not a scratch on it in mint condition that Bonhams could easily auction it in a no reserve listing. That’s something you really can’t park overnight on the street in places like LA. I used the app Best Parking to find the nearest indoor garage for a cheaper weekly rate. I took Lyft home from the garage each night. It was an expensive proposition but it gave me piece of mind that I needn’t problems with my friend’s car when I already had problems with mine. It made me also think about my anticipation of getting a new BEV. Soon I’ll have my own personal electric car or electrifying my present one. My building doesn’t have charging infrastructure. So I understand these challenges, and you’re better off walking, catching a cab, bus, or Lyft to your more temperate temperature-stored car indoors than an iced up street parked frozen one with hardly any range, especially if the next trip is crucial like a job interview or a long trip to work. What do you want? 2. Keep the car plugged in and especially doing so at least 30 minutes before you anticipate using the car: by doing this unlike a phone, onboard technology will begin the process of warming the battery while not overcharging it. This will help even if the car is parked outside on the driveway to bring the charger plug out if it’s that long or use an extension cord. If parked on the street if you can get a portable energy source/battery pack to warm the car battery, I’d try that. 3. Turn the battery heater on before driving. 5. Instead of the blower, use the heated seats for warming. They use less juice than the heater blower. 6. Use discretion with the cabin heater. If necessary to use, set on LOW. 7. Tire pressure: this is critical regardless of season for efficient BEV range: while the tires are freezing cold it’s a good time to make the gas station the first stop to recall your fond memories and then to appreciate your electric to check and fill air pressure. 8. SLOW DOWN: if there’s ever a time not to rush and take it easy, is when it’s 20° F or less and you just lost almost half your range. Easy now! 9. Use Eco modes: unless it’s in default, this is probably a good time to push that button I hate to use. Remember that during cold weather driving regenerative braking may not work or work as efficiently as it does when conditions are optimal. So when the weather is cold expect a warning indicator, and if not, anticipate when braking. You may have to go back to gas car thinking when braking in very cold weather, otherwise passive emergency braking may take over, or you might crash. For those of you reading this that aren’t electric car owners rolling your eyes wondering how can we all put ourselves through this, in the scheme of things, this is probably all that electric car owners have to worry about as opposed to you and yours with gas. How quickly some of you may forget or overlook about water in the frozen gas tank or radiator issues freezing up or the belts or hoses cracking or busting, or the water pump or radiator valve blowing, all winter issues. Also remember like I wrote above: the winter cold Norway of Northern Europe is now the BEV capital country of the world. These circumstances more apply probably to the owners of tiny battery and lower range BEVs purchased by early adopters in the 2010’s anyway. As we go along in as little as a year from now, battery dynamics will change dramatically and rapidly as they already are. Look, the base Model S now has a 310 mile range that Tesla once reserved for the $100,000+ performance variant! This is what I mean that these cars are becoming quickly cheaper and the batteries seem like suddenly they’ve been pushing steroids. The bigger the batteries the fewer of these problems: reading carefully hybrid owners? Speaking of Tesla, they say their cars don’t normally have these problems (except of course with those outside the door handles). CNBC quoted them as saying: "Based on real-world data from our fleet, which includes millions of long trips taken by real Model S customers, we know with certainty that, even when using heating and air conditioning, the average Model S customer doesn't experience anywhere near that decrease in range at 20 degrees Fahrenheit," the company said in a statement. "And the decrease in range at 95 degrees Fahrenheit is roughly 1 percent." There you go tiny battery people. Time for us to move on to the next step in a world of lesser gas cars with cars that have full sized batteries only. I say keep your tiny battery or low ranged car for now. Besides the fact it’s cheaper to keep her, she’s still worth something to you. All you have to do is take these extra steps in the winter to help your car’s batteries take you on the next cold trip and survive longevity. Please stay safe during winter and summer driving. Photos are a screenshot from a video on the Tesla Media website at Tesla.com. The one photo of a charging plug was taken from torquenews.com. The photo and screenshots are published here and all under Section 107 of the Copyright Act 1976, allowance is made for "fair use" for purposes such as criticism, comment, and news reporting. UPDATED NOTICE: I am so grateful that my publisher allows me the generous privilege within reason to express my opinions about matters related to the auto industry. I try to be judicious and respectful about the content. I ask you do the same in the comments section by refraining from inappropriate language and content. Please be nice, there’s no reason to get nasty, this is only about cars. The irony is if you came up on me on the street to recognize me I’d grab a beer with you and we’d talk about cars for me to thank you for being a reader! Please forgive me. And please keep in mind that the opinions expressed here are solely mine, and not those of Hareyan Publishing or its employees, including my staff colleagues. What do you think of Range Freeze? Please let us know below!